The CD release event for Broken Dam will take place at the High Noon Saloon on Sunday, March 19th. This is an afternoon show, from 1:30-4 pm. The local star-studded event will also feature the Lower 5th, Lo Marie, Sam Ness and Derek Remnarace. While mischievously percolating in the heart of Madison’s singer-songwriter scene, Shawndell Marks has put out a solo recording every five years or so. These are not her only recordings as she appears on numerous projects – including Gin, Chocolate and Bottle Rockets – while appearing onstage in a variety of outings including the aforementioned, Girls and Ladies Rock Camps, Chick Singer Nights and with her friends and peers who are many in number. As a singer-songwriter who uses keyboards as her primary tool, she’s much in-demand. Taking eighteen months to complete, the recording features a trove of local artists including Dan Kennedy, John Christiensen, Meghan Rose, Emily Mills, Jenna Joanis, Beth Kille, Ida Jo, Nathan Russell, Al Buttner, Kelly Maxwell, Jen Farley, Joe McCloskey, Paul Isaacs and even Paradyme Productions’ Jake Johnson who also served as producer, a big step in the right direction for Marks. Marks’ stint in Fleetwood Mac cover band Gold Dust Women surely influenced these songs but there are hints of Fiona Apple, Tori Amos and perhaps even Kate Bush.. The opening track, “Wishbone,” (co-written with Derek Remnarace and Dan Kennedy) is indicative of the album and one of the album’s best. Kennedy’s atmospheric guitar and Johnson’s tape loops accentuate a heavy piano motif that evolves into a pop arrangement a la Mac and boasts an inventive middle section that evolves into a funky R&B segment before returning to form. Kennedy’s guitar spices up “Home” as well, a critical figure giving the song an extra hook. A clear standout is the sublime “Sweet,” featuring Meghan Rose, Emily Mills and Dan Kennedy’s guitar. Like “Wishbone,” this is mid-tempo sophisticated pop rock presented with style, mystique and sass. Kennedy rips off a tasty guitar solo while Marks reaches for the heights vocally, which she does sparingly. The album is well-sequenced with “Wishbone” leading into “Restless;” “Home,” as one of comfort leading into a very different version of coming home for the burdened soldier in “Sparta.” On “Sweet” Marks intones, “I wish that honesty would stand for something.” She answers in the following track, “Birthday,” with “Say it / Why don’t you say it / You know and I know / Why don’t you say it.” Another exceptional arrangement on a song co-written with Kennedy, it’s a somber and elegant reflection. “Not My Father borrows heavily from Pink Floyd’s “The Division Bell” while meditating on the loss of her father to suicide. “Stand Close to Me” is respite from the heaviness with Beth Kille’s mandolin accentuating the lightness and playfulness. “Unresolved” is a wonderfully personal note from Marks, piano and vocal, one her finest melodies and vocal performances highlighting the sheer beauty of her voice. “Heart Afire” (produced by Scott Lamps) closes the album on a similar note, Marks once again reaching upward with the plaintive vocal. It’s a good way to let the listener off on an inspirational tone. 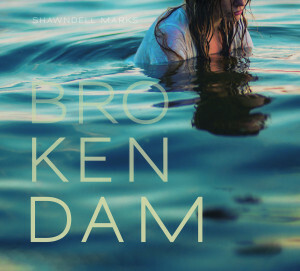 Broken Dam is the sound of Marks coming into her own with dignity and conviction; you can almost hear the growth happening in the grooves. It’s a challenging record, deep but beautiful; an artistic achievement for Marks and the heralding of another important musician that Madison is so lucky to nurture and have in our midst. Here’s hoping the next one doesn’t take five years.